OutFoxed has been recommended here before as a good kids' game for younger kids. Would it work for a 4-year old? A wise-beyond her years 7-yo? My son was 4, almost 5 when we got Outfoxed and it was a hit. Dad drove most of the mechanical aspects and the elimination of suspects though and Son rolled dice and moved and checked the display for coloured dots. I would like to recommend a game. 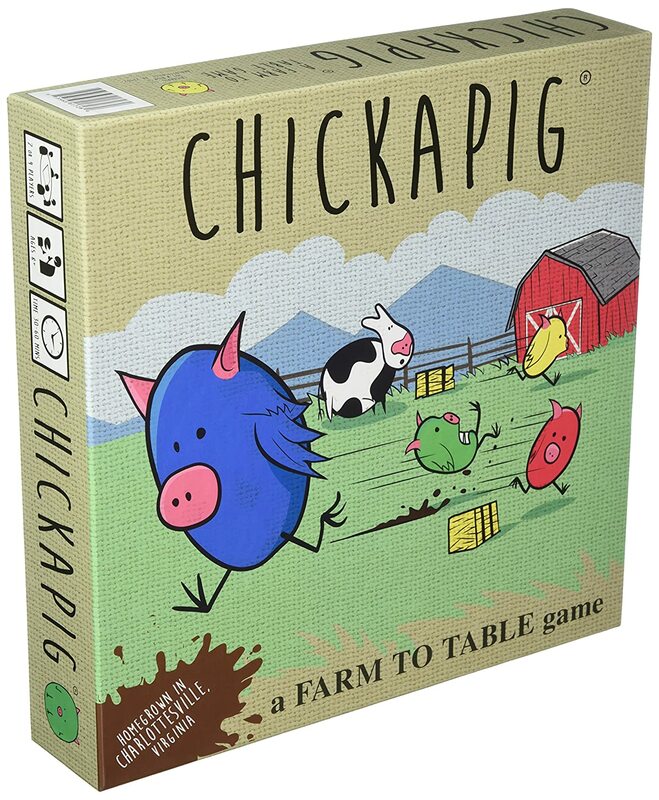 I got Chickapig for Christmas and just got around to playing it. It is quite good. My kids 10, and12 have picked it up pretty easily and it is fun for adults too. Any more Roll and Write game recommendations? We bought Ganz Schon Clever. Doppelt So Clever doesn't seem to be on Amazon yet but I did find the web app here. It's very good. We love Railroad Ink. Roll through the Ages qualifies, I think, and I like that one but I think its pretty unbalanced. There's Welcome to Dino World (unrelated). Scroll on down that Kickstarter page and there's a PnP version can download and try. Which I'm going to do very soon. Finally Tag City looks like a nice and bright roll and write and there looks to be a polyomino element to it which could be a good fit for us liking Barenpark and Patchwork as the family does. Trying out Tabletop Simulator tonight with my regular gaming group, one of whom moved out to Indiana this past year. Trying to keep him involved. We're going to play Medici – 6 players. Will report back about the fun/pain ratio tomorrow. I highly recommend watching the tutorial videos here. Thanks for the link. Didn't see it until this morning, and will check it out. Didn't find the controls too difficult, although, in some cases counter-intuitive. We couldn't play Medici. The only playable version we could find had a bug that wouldn't allow all six of us to be seated. So, we ended up playing 7 Wonders, instead. It went fine, for the most part. Definitely got easier the more we played. I do worry that playing something with too many fiddly bits would be much more difficult. The biggest pain for me was how difficult it was to see other people's play areas. You can do it, but it takes some time/effort for something that, in person, is a glance. But, overall, it was workable and a great way for us to spend some virtual time with a distant gamer friend. We will definitely be doing more of it in the future. I think the first TTS game I played with Erik was Spirit Island. So many fiddly bits each round that get added. It worked great once (cue click bait add) we learned this one little trick. Right clicking on the island boards to lock them in place. going to pick up and move pieces and accidentally grabbing the full board instead sending pieces tumbling was both sad and hilarious at the same time. Damn, I love Spirit Island. The downside of running and playing in weekly D&D campaigns is that they have cut into my solo and TTS board gaming time. I can more than live with that tradeoff. 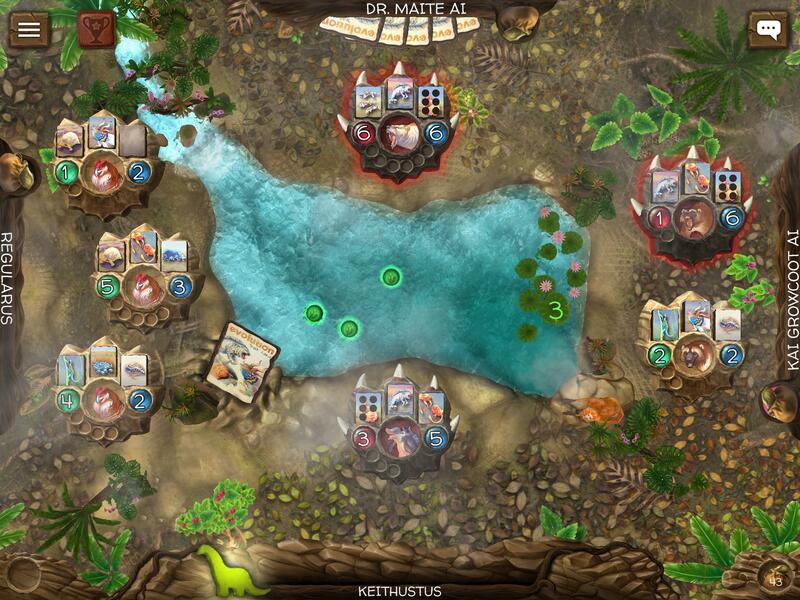 Incidentally I'd love to do some Spirit Island TTS-style if we have a few interested. Does the plug-in you use have the first expansion in it? I'd love to be able to run a full game with all the expansion stuff in. I've owned the actual expansion for like 6 months but have never been able to run all of it as the few games I've run in that time have all been teaching games. I'm up for this. I've been meaning to play more Spirit Island lately. My last game was kind of a disaster, and I need to redeem myself. The mod I've used on TTS does include Branch and Claw content and the promo spirits if you want to use that stuff. I want to try this. Dave Mathews (the musician) had a hand in its development and getting it made. If Dave had a hand in it, I definitely need to try it. Erik, count me in as interested in playing on TTS. I've been wanting to play Spirit Island and would welcome the opportunity. Any mini painters here able to advise on these? I'm tempted to grab at least a single set (probably the fleshtones one or the"sweet dreams" one) but i'm not entirely convinced they do much more than my regular artists acrylics can do with just a bit more effort at my end to mix the right colours. Without having tried them I'd wager that your hesitation is correct. Likely they're nice, but not so nice that I'd re-buy colors I already have. I've always found that proper mixture of water or flow aid will help most any mini paint get to where you want it to go. If these guys have paints that fill gaps in your stable of colors, go for it. But likely you'd find the same quality from something like Vallejo. Thanks. I'll stick with my regular acrylic paints and a tub of Gesso then. Already backed too many kickstarters again this month anyway! Youngest kid was home sick today so I was working from home. During lunch I pulled out Claustrophobia 1643 and taught him (he's 7) while we ate sammiches. Game went over well and he didn't have any problem learning the basic rules as we went along, and I gotta say I am really, really, liking this game. For younger players it's a monster smash of rolling dice and hoping for the best and for adults it becomes strategic and a really great puzzle on what to do each turn. My favorite mechanic of the game is the tile limit. Each tile has a limit of characters that can be on it, so for the human player placement is crucial. Do you want to spread out and limit where the infernal player can spawn or do you try to stay together so you can more easily defeat the hordes of hell? For the infernal player it becomes a puzzle of what to spawn and where using which powers so you can inflict the most damage and hopefully spread the humans out so they are not on the same tile. I just played The Mind for the third time but this time with family members and it went way better. We even played with zero talking and it was a blast. This game is much better with people you know really well. The creators just launched a new Kickstarter for a party game called Wavelength. I got to play it for the KS video and had a total blast. Definitely worth checking out. Especially if you're like me and not usually a fan of party games. Nice, I just backed that earlier this week! I love a good party game, and it sounds like fun. FFG just announced Star Wars: Outer Rim, which looks like their take on Xia / Firefly / Merchants and Marauders. I have mixed feelings because I already own Xia, but this could be really awesome. It doesn't have Xia's exploration and it adds some other elements, so maybe I can justify owning both? FFG has done a lot of good of good stuff with the Star Wars license, and since they're working in a pretty well-established space, it seems likely that the gameplay will be solid. This looks pretty solid. Can't wait to see it. I rather play a smuggler in Star Wars then be in firefly. Having solo (ha, get it?) mode is probably the selling point for me. If solo mode is good I might pick it up. I also had a mind explosion thinking about the Arkham card game engine with a possible Star Wars IP. Yes. Please. 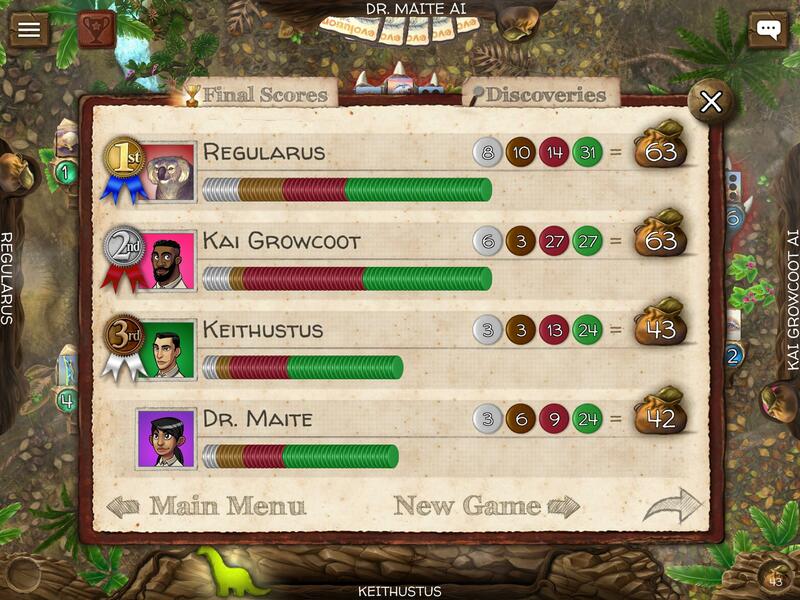 Evolution is out on iOS, Android, and PC! AWESOME! Search for "Evolution: The Video Game". One of my favorite games going digital. There are no best strategies in Evolution; it’s not a broken game. To win you must understand not just all the cards and mechanics but also the overall game state and each player’s options in each game, and adapt accordingly. Evolution is interesting, simple head to head card battler. on iOS I was annoyed that you dont know what it costs going in. You have to play 3 tutorial matches to learn it's $8 (on sale, regularly $10) to 'unlock' the game and then it doesn't do a good job of describing what 'unlocking' actually means. Usually there's a 'top in-app purchases' thing on the app store that can clue you in to the real cost before you download. I find this method kinda sneaky. This is dissapointing as I was looking forward to trying this one out. We have a Target version of the boardgame that the kids and I like but I don't think it is as deep as the real game? I hope not as it seems a bit shallow but worked well for something the kids could grasp and play. I'm happy to pay for apps for good implementations of board games, but I hate it when the costs of games get obfuscated behind in-app purchases. Evolution is still worth trying on iOS and Android, it's free to play the first 3 levels and I think some set of features remains free to play, such as regular matches against the AI and I think 1 multiplayer match per day? I think the $8 is essentially for the campaign and whatever Brutal mode is. Im assuming its a stacked-against-you challenge of some kind. I will wait until things get sorted out. There is zero excuse at this point in time for any issues, especially for such a simple game. This isn't Through the Ages. a Target version of the boardgame that the kids and I like but I don't think it is as deep as the real game? If you you mean Evolution: The Beginning, that yes is a simpler version. I actually haven't played it, but other Evolution players I know think it's a nice lite version. As to the problems of Evolution's release, they say they have fixed the store issue now. It's $8, $10 guys for a well working fantastic game, with a similar cost on Steam. I've been playing since KS backers were given TestFlight access. The dev team is very responsive and they are still adding more features such as Climate and some promo cards. 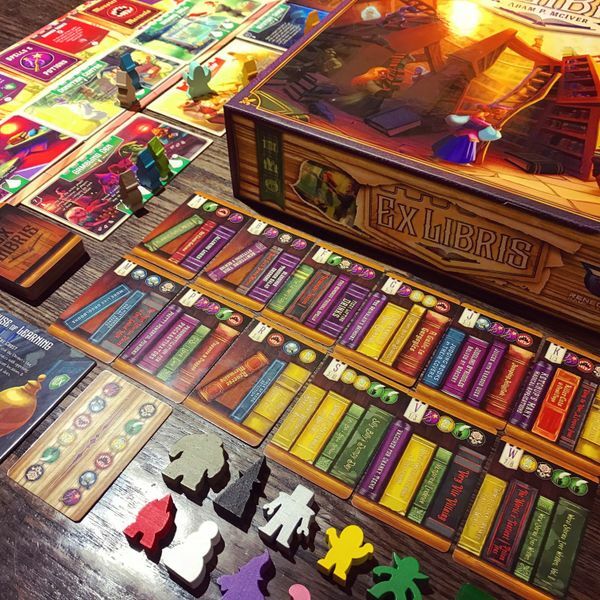 Had a chance to play Ex Libris on Tuesday. 2-4 players compete to be appointed head Librarian of the Realm (or somesuch) by directing their assistants (two gnomes and an adorable third 'special' assistant) to assemble the best book collection. There are six different book categories which score differently each game; each player gets a bonus for a particular category and two remaining categories are either "banned" (negative points) or in high demand (bonus points for the most). Actions are worker-placement driven and the game finishes one round after any player has 14 cards (each containing two-to-four books) in their collection. The player with the best handwriting (it's the rules!) then takes on the role of the Inspector, who gets a (dry-erase) "clipboard" for scoring. It's a small touch, but it really helps an already-enjoyable theme shine. Collections are scored for alphabetical organization (cards are coded A-1/5, A-2/5...B-1/3...etc. ), structural integrity (compactness), variety, player and global category goals. It sounds like a lot of moving parts, and I guess in some sense it is, but that helped me not worry about mathing the whole thing out and just focus on the things that felt like they made for the 'best' collection. Definitely a build-your-own-thing game--with a fair amount of competition for resources--and see who 'won' in the end! The worker-placement mechanism had a nice touch, where a few new locations come out each round, with one from each round remaining in play. In this way, there is always something new to do on a given turn, with an increasing set of reliable options to choose from. The "special" assistant gives each player a slightly different ability to use each round (such as sharing a worker space with another assistant). These didn't seem OP and seem like they would add good replay value. And the amusing theme is executed in loving detail throughout. If I was growing my game library I'd add this in an instant, though I'm not currently ready to purge something else to replace with this. Recommend! Amazon $100 Gloomhaven. Act fast. I'm playing Gloomhaven for the first time this Friday. Advice?